Today I have a soup recipe for you, that’s so easy. Just throw everything together in your slow cooker before you leave for work. 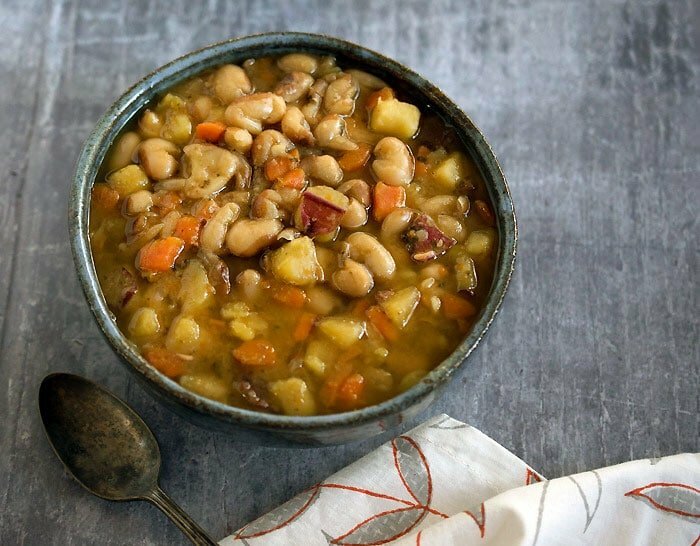 You can use all kinds of veggies in this Slow Cooker Yellow-Eyed Bean Soup. slow cooker and it worked fine. in your pantry? 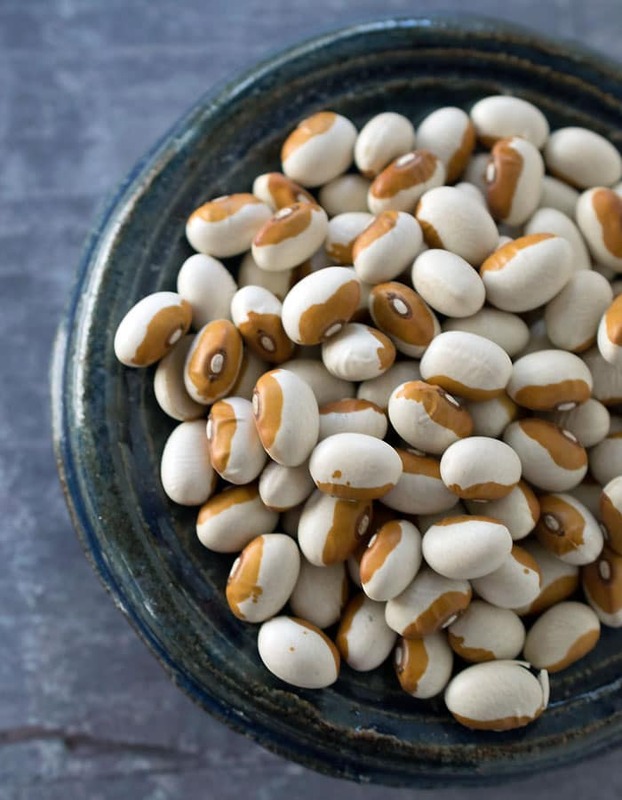 You can use black-eyed peas, pintos or another heirloom bean you’ve been saving. 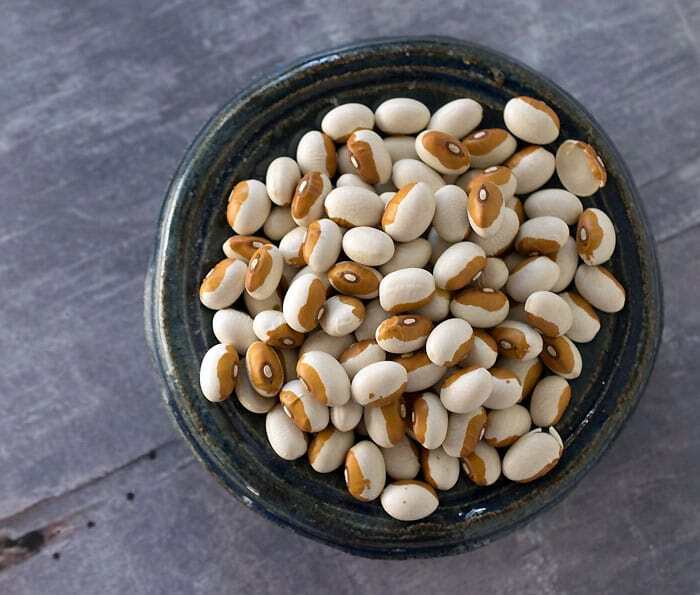 I fell in love with yellow eyed beans the first time I tasted them. Prettier than black-eyed peas, they have a smoother texture too. 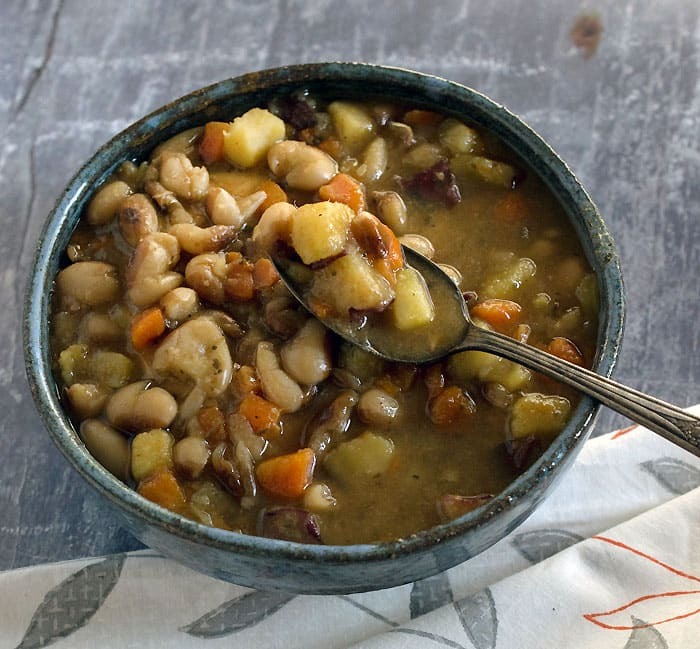 They were traditionally used in baked beans, but are great in Southern favs, soups and stews. 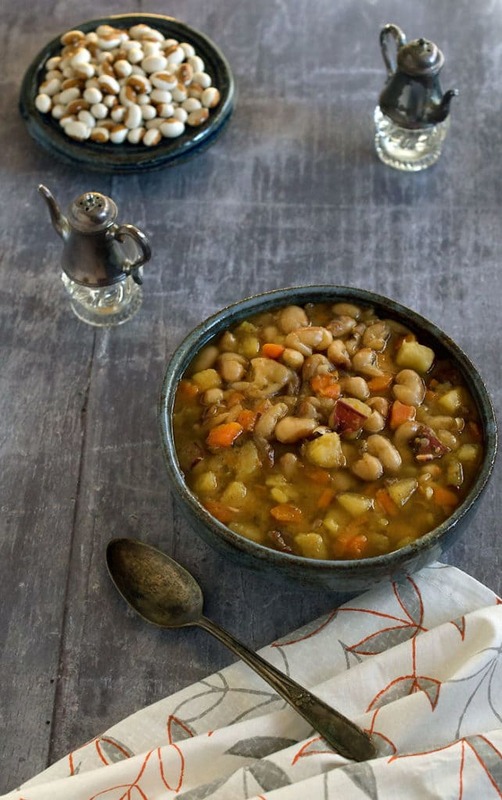 In this crockpot soup, the sweet potatoes mix with the beans to create a rich broth that gets a hint of sweetness from the sweet potato. I love that it uses seasonal ingredients that you may already have on hand. Add the sweet potato, beans, garlic, water, bouillon, rosemary, marjoram and paprika into your 2-quart slow cooker. Minutes before serving add the greens. They will cook just enough from the heat in the soup since they are minced. 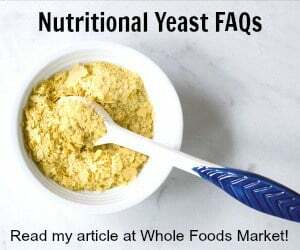 Also add the nutritional yeast, liquid smoke and Tabasco if you are using it. I made this for dinner tonight and it was delicious. Thank you for the easy and tasty recipe. Which veggie bouillon do you use? Where can you find these beans? They look great! We found ours in husband’s home state of Maine. Have never seen them in Alabama. I think other beans/peas would work. Husband said his mother always baked them. You can always use black-eyed peas instead. Thank you for all of your wonderful recipes, Kathy. My question is, did you pre-soak your your beans. I’m guessing that you didn’t or you would have mentioned it. I did not pre-soak my beans, but you can soak them overnight and reduce the amount of water if you prefer. Happy New Year! How much would you reduce the water by if the beans have been pre-soaked? Probably by half, but since it’s a soup you can play with the amount or even just turn it to saute and let the extra liquid boil off. Can I make this in my Instant Pot instead of my slow cooker? Yes, I think you could cook it for 15 minutes on high. I’ve read recently that beans should be soaked and/or boiled 10 minutes to reduce toxicity, especially kidney beans. I’m not sure if that applies to all beans, though. Have you heard this? It’s only for kidney beans and not all the other beans. Hi. Do you mean that kidney bans I used in a rice and beans meal tonight, was toxic b/c of kidney beans out of a can, because I didn’t rinse them? Oh man I’ve never heard that. Can you pls clarify that for me? Kidney beans from a can are fine. In fact cooked anyway that brings them to a full boil for 10 minutes gets rid of the toxin. Since most slow cookers don’t cook that high, it’s recommended that you don’t cook dried kidney beans in the slow cooker unless you boil them on the stove for 10 minutes first. Does it matter the size of your slow cooker and if so why? Thank you and you have great recipes!!! In this recipe yes because it’s a smaller amount. Also different brands/models have a different min. fill amount between 1/2 – 3/4 full. If you have under that it will cook hotter and can burn. Can you use chickpeas instead of these? Also, can we accompany this soup with a flatbread (made from rotimatic), curry, and rice? You can, but the cooking time could be a bit longer especially if your chickpeas are a little older. You could certainly serve it with all the things you listed.